Rangers supplemented their Scottish Championship success with a comfortable 4-0 victory over Peterhead in the Scottish Challenge Cup final at Hampden Park. 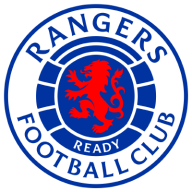 Mark Warburton's side, who lost out to Raith Rovers in the 2014 renewal, dominated from the off against their spirited but limited League One opponents. Ally Gilchrist's own goal and a James Tavernier stunner gave the Glasgow side a two-goal advantage at the break and they coasted home in the second half as Andy Halliday's late penalty and Kenny Miller's strike sealed a comfortable win. After 17 minutes, Miller profited from a defensive error, breaking free down the left and drilling in a low cross which Gilchrist, sliding in at the near post, could only divert into his own net. Peterhead lost Ryan Strachan to injury and struggled to get any sort of foothold on proceedings but there was little they could do about Rangers' second goal, Tavernier (40) sending a sweetly-struck volley past the despairing dive of Graeme Smith. Peterhead enjoyed their best spell of the game before the break - Jason Holt blocking Scott Ross' header on the goalline - but it was Rangers who continued to carry the more potent threat, Halliday sending a diving header wide from six yards. With Celtic looming in the Scottish Cup semi-final in seven days time, caution was the watchword for Warburton, with Lee Wallace and a limping Harry Forrester withdrawn. 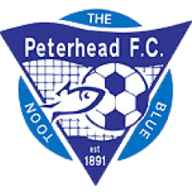 Substitute Billy King's control let him down with the goal gaping, Miller headed straight at Smith and the Peterhead goalkeeper foiled Tavernier when he looked odds-on for a second goal. But it was all academic against a tiring defence as Holt's surging run was halted illegally by Steven Noble and Halliday (85) tucked away the spot-kick before Miller pounced with a typically predatory finish (89). Peterhead's thoughts now turn to their promotion push while Rangers focus will be on their return to the national stadium next Sunday There will be a new pitch by then, a mere five weeks after it was last re-laid, the current surface having failed to bed in.